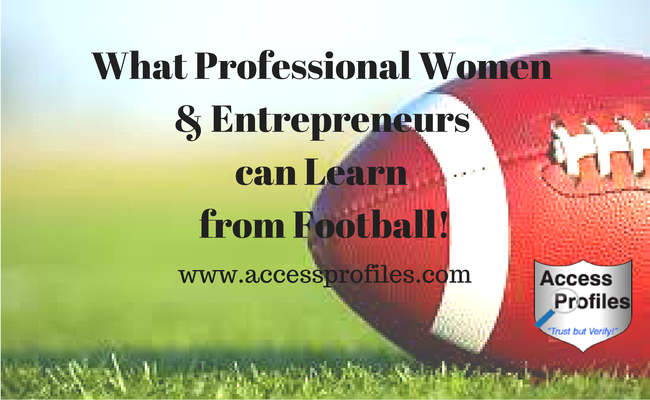 Access Profiles, Inc.: What Professional Women and Entrepreneurs can Learn from Football! What Professional Women and Entrepreneurs can Learn from Football! Let me start off by saying, I love football. Every time I make the 4 hour drive to D.C., I listen to the NFL network. Year round I get NFL stories and highlights emailed to me. I “like” my favorite team and players on Facebook. And every game day during football season, I watch my own team, and every other game I can get. While I love most sports, football is my favorite. And now that the season is getting in full swing, I look forward to every minute. Besides the entertainment factor, I also believe that Small Business owners, and women especially, can learn a lot from team sports. When watching a football play unfold, it is clear that all players have a choreographed role. If any one of them is not fully committed to and completely executes the play, it is not successful. Much is the same in a company. All employees and managers must work together to ensure the company accomplishes its goals. 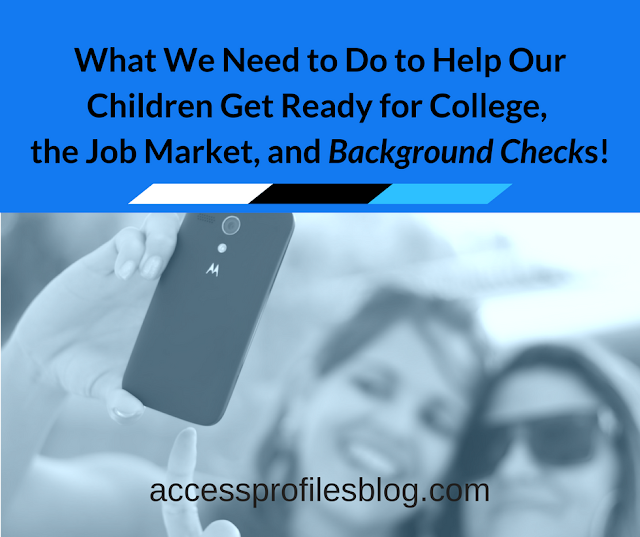 You need to recognize that everyone’s role is important and should be valued. A good quarterback knows the strengths and weaknesses of his team. He must think quickly and react to any outside pressures and changes, while still scoring points. A QB also knows that he cannot do it alone. He needs his entire team to be working at their best. My favorite quarterback does not point fingers or take all the praise. That makes him a leader and a team player.3. As the owner or manager of your company, You must do the same. An effective employer quickly realizes that it is impossible to do it all. So you need to surround yourself with good, quality people and realize you are only as productive as those around you. You need to act as a motivator and learn to lead by example. Football players use the off season to rehabilitate, reflect, and re-energize. The best of them keep in shape by continuing to work out so they are able to jump right back in at the start of camp. You can use these tactics in your business. Companies also go through “down times” and periods of change. What is important is to do it wisely. Hone your skills, revamp your methods - whatever it takes to achieve your goals. While football, really any team sport, can teach business owners a lot, it is especially valuable to women in business. According to a June 18, 2013 press release from Ernst & Young, results of their recent survey solidify the “important role of sports in the development of leadership skills for female executives and their ability to motivate teams”. 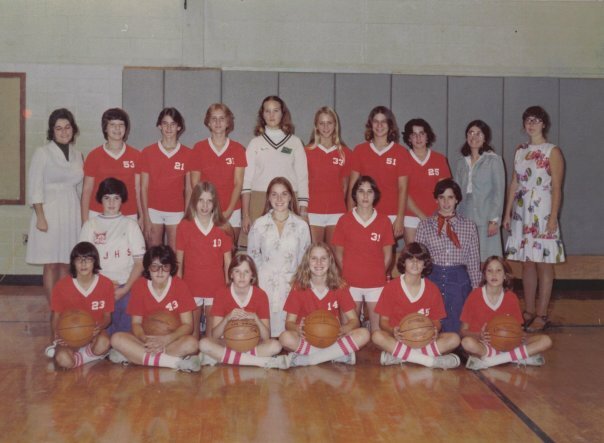 I found particularly telling that 96% of women at the corporate level had played a team sport, 55% of them at a University level. A majority of them (72%) also agreed that women who have participated in team sports, at any level, worked better and more productively within teams. You can read the entire Ernst & Young press release here. Women who have or still do play team sports know the value of team work. They have seen first hand the bonding and success that comes from all working towards the same goal. They also know the strength of will it takes to compete at a high level. All this breeds self-confidence, determination, and the ability to motivate ~ each one of these are qualities of good leader. No matter what team sport you are drawn to, take a moment and watch them play. Learn to recognize what works and what doesn’t. You will find that the successful teams work as one to earn that win. Then take what you see and use it to reach your goals. Who knows, if you are lucky you may win your own “Super Bowl”! Are you interested in more tips on Small Business? Be sure to visit my blog and leave your email. I would love to help! 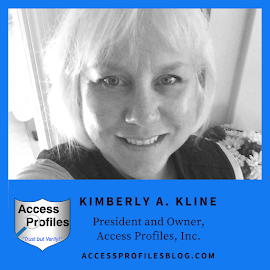 Let’s Connect on Facebook, Twitter, LinkedIn, and Google+ too! Can a Hacker Erase My Criminal Record? I Know Why I Do What I Do!